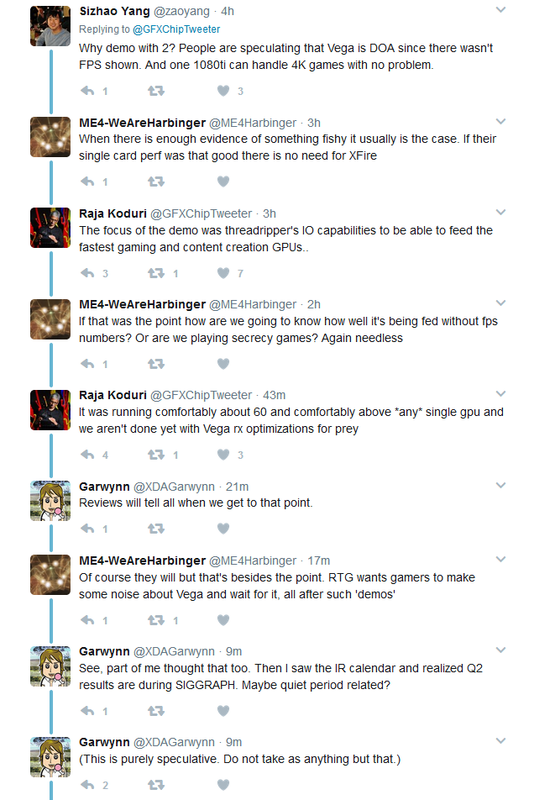 Digit Geek > Recent Articles > Technology > Does waiting for Radeon Vega make no sense anymore? Does waiting for Radeon Vega make no sense anymore? AMD has been having an interesting time lately. From the wild success of Ryzen to the rather flabbergasting onemanupship of Threadripper by Intel (Why is there so many confusing nuances to the x299 platform anyway?) Not to mention with the mining craze that’s going on, it’s rather impossible to find a decently priced 470/570 or a 480/580 in stock (At least in the rest of the world. India with its normal level of outrageous prices seems to have stocks available) And for nearly over a year now, they’ve been teasing at their high-end Vega line of graphics cards, dangling it just out of reach with just a “Coming Soon™”, showing elusive peeks of it at events and stuff but no concrete benchmarks or data. They promised a Q2 release of Vega and they technically met it by releasing Frontier edition one day before Q2 ended but gamers were left sorely disappointed with only a 1k+ USD card that is literally not meant for gaming. Many people just lost hope at this point, disillusioned with the #hypetrain and jumped ship to buy a 1070/1080/1080ti/Tita- wait, who are we kidding, no one buys Titans anymore. There were also shady conspiracies floating around stating AMD poured all their money into the CPU department, leaving relatively low resources for the GPU, so they are stalling to get a passable product out. But not all hope is lost, for on closer analysis, you could see screen tearing on the stream (GSync/FreeSync projectors when???) which implies that there’s more frames being produced by the card than what is being projected. So, Reddit being Reddit, they did the math (a subreddit worth checking out, in our opinion) and got these results. So the age old adage of not counting chickens before they hatch still stands true. Yes, it’s a bit crappy that we have to wait 2 more months (or more, the rumor mill has it that Vega could spill over to Q1 2018) but decrying the card as a failure (as some people ranting on forums are) isn’t worth it. Sure, if waiting for a few more months irks you, we strongly advocate Team Green but if you are in no hurry to build/upgrade your rig and would like to perhaps support the underdog or snag an incredible value for money card (if they can pull off another runaway Ryzen-esque success that is) then #WaitForVega still holds. While the government is against cryptocurrencies, India is also exploring various use cases for adopting blockchain in governance. The future could be very interesting for Non Fungible Tokens, the hottest things in distributed ledger technologies. Blockchain is all set to transform supply chain management - theoretically. Is it even possible in the real world?